BETWEEN the Portuguese and the Greeks, they say, there’s a great affinity. They are two peoples with superb achievements at sea. We, Greeks, have given glamour to the Archipelago, i.e. the Aegean Sea, since ancient times with the awesome and, at the same time, dazzling archetype of the great voyager, Odysseus, an (almost) intertemporal person now, who has remarkably managed to get into the consciousness and cultures of all the peoples of the world, thanks to that major text, the “Odyssey”, which is essentially what? It is a man’s struggle with the sea – at times his friend, at times his enemy – in order to return to his land, Ithaca, to fulfill his “nostos”, to eat “nostimon” (delicious) bread, to experience what Homer calls “nostimon hemar” – the day of his return home. The significance of the word “nostimon” is so great that has ended up in us, Modern Greeks, having the meaning of a dish which is good and not “anoston” (tasteless). While “anostos” is the one who cannot return to his homeland. These are excellent wordplays of the language. I’d like to point out some important lines of approach in this new work by Amélia Muge and Michales Loukovikas. Unfortunately, we live in a time when the idea of an “integral recording”, what we call a concept album, tends to fall apart, returning to an era of separate tracks that are being played on the radio inconsistently. I do not blame them; separate songs are fine, as well. But recording history has given us the opportunity to create masterpieces resembling literary works, novels: i.e. a whole disc having a single theme, or variations on a single theme, being a story. There are prominent Greek composers, who have set poetry to music producing significant work, as well as great foreign bands, such as Pink Floyd, and many others, who have benefited from this mode of recording. Amelia and Michales have loved this mode; they’ve honoured it to the full. 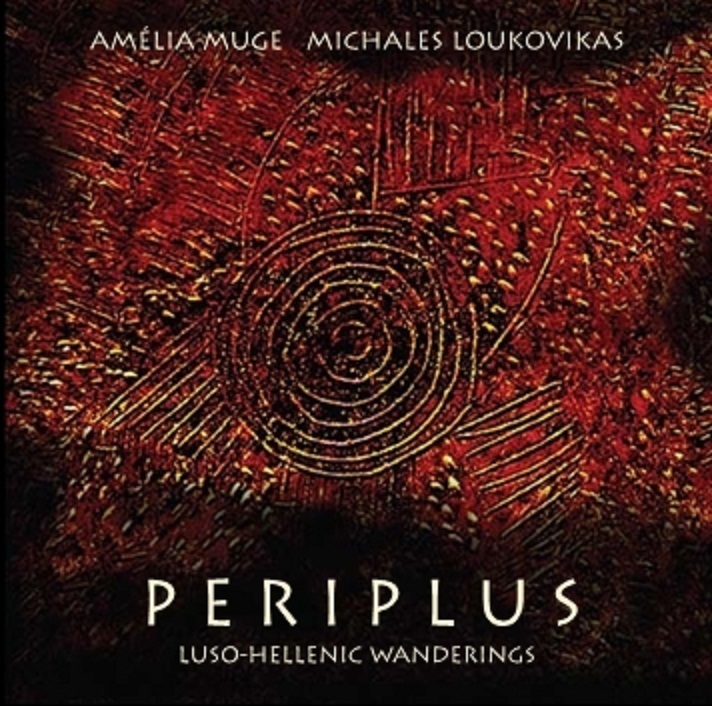 Both “Periplus”, their previous joint effort, and “Archipelagos”, are integrated acoustic, aesthetic, cultural immersions that you cannot listen to in parts; you have to listen to them in whole, seeing the development of their own aesthetics, sensitivity, artistic targeting, and through them, all the important parameters that inevitably come to light, even more so when two cultures meet, converging and also diverging. Everything is featured and entertained in “Archipelagos”: great poets that I feel the need to mention. We begin with an anonymous hymnodist from Ugarit 3500 years ago; it is a Hurrian hymn, whose music is set to Greek and Portuguese lyrics, that curiously its musical motif sounds very much like a Portuguese anti-fascist anthem, “Acordai!” (Wake up!). Sappho, Euripides, with a choral ode from “Orestes”, Friedrich Hölderlin, João de Deus, Rosalía de Castro, José Gomes Ferreira, Hélia Correia and, of course, the two tremendous Portuguese literary personalities, Fernando Pessoa and José Saramago, are also present. Regarding songwriters, those entertained here are Martín Codax (a medieval Galician bard), the celebrated Violeta Parra, Armando Soares, José Niza, as well as the Greeks Panagiotis Tountas, Giorgos Mitsakis, Vasilis Tsitsanis, along with some composers, most prominently Ludwig van Beethoven. 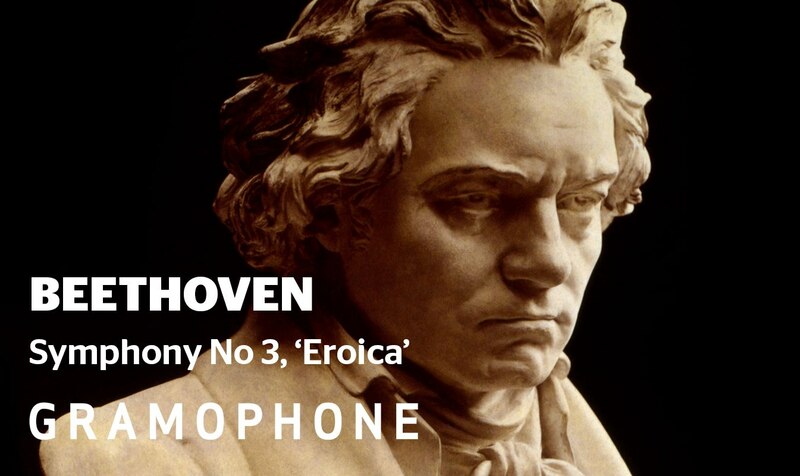 Now what’s Beethoven doing in a meeting between Portuguese and Greeks? Alright, there are always some artistic… perversions! It is, of course, justifiable because, strangely enough, this “Marcia funebre”, in the Second Movement of the Third Symphony, has made a match in a “diabolical” and paradoxical way with a poetic creation by the eminent writer Hélia Correia,(*) a philhellene, who has also produced significant work under the influence of the Hellenic spirit, the ancient above all. 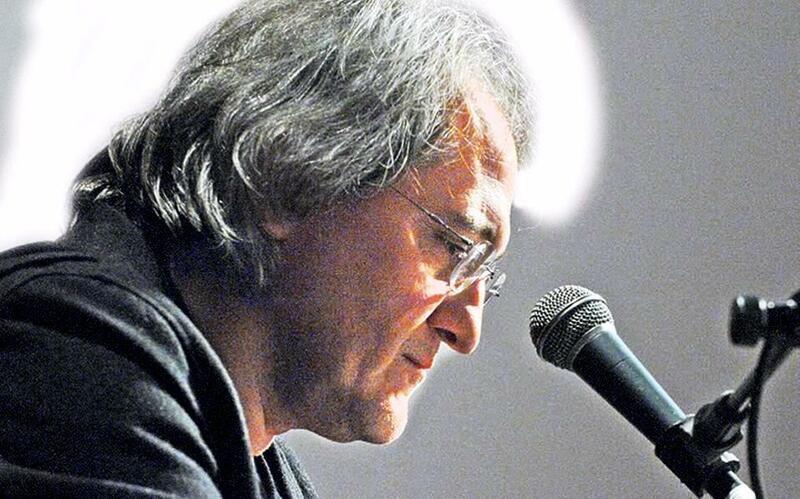 Other composers are Fernando Lopes-Graça and me… (I have not referred to Michales and Amelia, as I do not consider them to be just authors in this work; I regard them as pillars. I’ve just mentioned those who are entertained in their work). 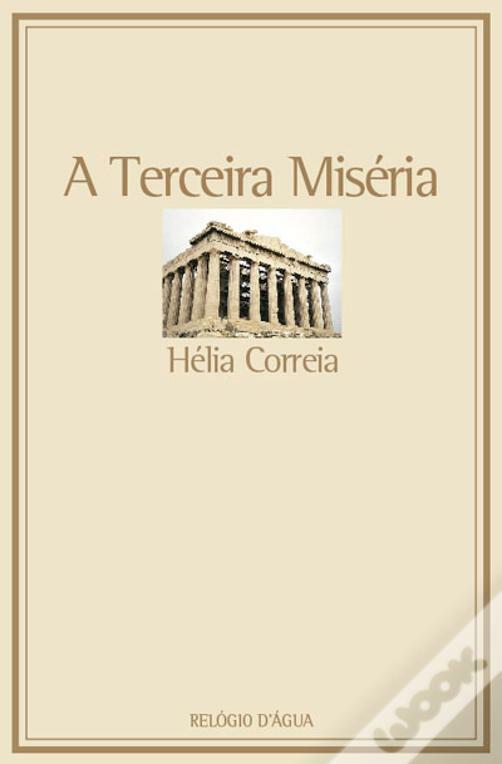 (*) Hélia Correia’s poem, referred to by Giorgos Andreou, is “The Third Misery” (A Terceira Miséria, 2012), dedicated to Greece, with the Parthenon on the cover. It’s a pity, indeed, if it’s not published in Greek, as well. In our cultures, those related to sea, the poetic phenomenon is central. 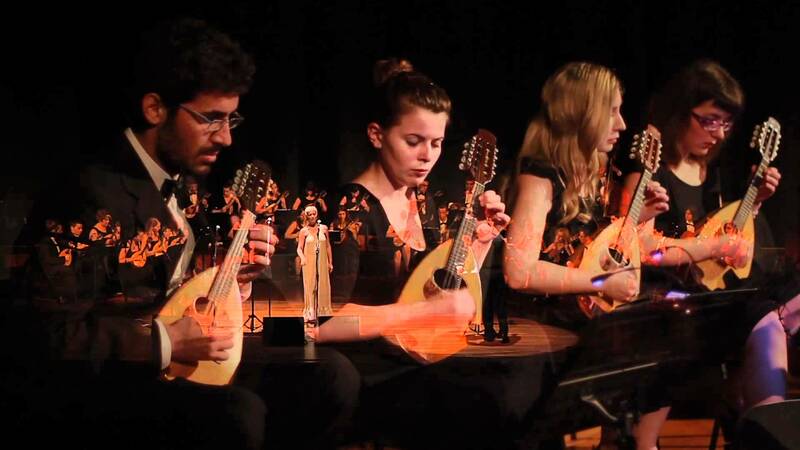 We can compliment ourselves that we are musicians, but the cultures in which Hellenes and Portuguese belong are above all poetic cultures. Their great dynamic is poetic creation. Poetic creation, I would say, from Homer to Pessoa, dictates in a way the reflection of these cultures, the way they gaze at themselves and the world, the way in which they ponder on the idea of voyage. Great poetic texts in both cultures deal with the sea, the human adventure. There have been great voyagers – the Portuguese have their own great explorers, e.g. Vasco da Gama – people who have struggled with the sea, even drowned, so that we could improve our understanding of the world, find new seas, new lands. But what these cultures are looking for above all is a deeper poetic connection of our being with the universe around us. It is no coincidence that these cultures, for which the Poetic Mode is of great importance, preserve what we call folk culture – have their own Folk musical Tradition. 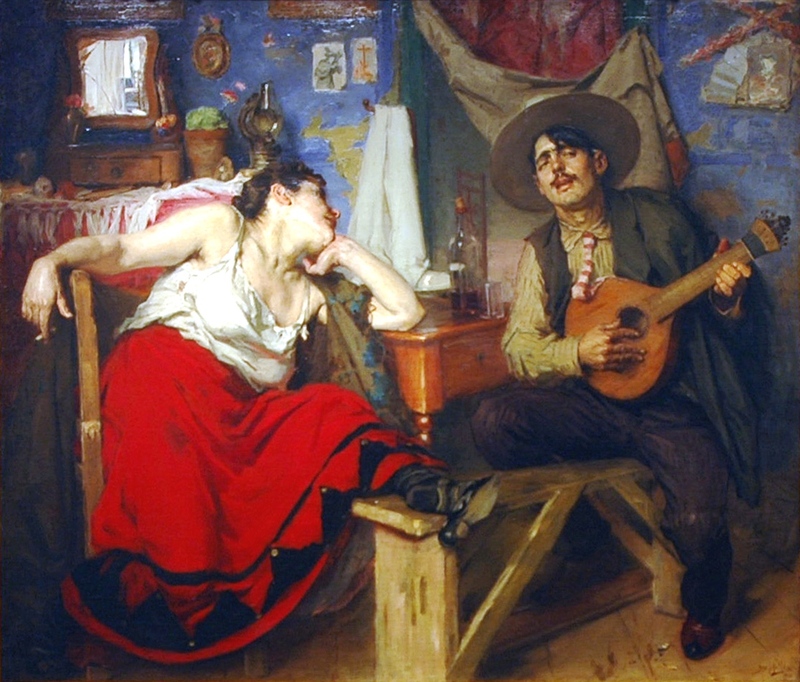 The Portuguese have the well-known Fado, beloved all over the planet; we have our great Demotic Tradition and, at the same time, an important branch that sprang out from it, our folk song, which started from Smyrna as an urban song, and developed from Rebetiko to a city Laïkó song, reaching its climax with geniuses, such as Tsitsanis or, sometime before, Tountas, who has been a bridge between these two routes. What, then, is that which preserves folk tradition in these cultures? (Because there are cultures – great at every level – which no longer have a folk tradition, a folk song of their own, but only academic). It is this poetic reflection, poetic consciousness, which is not (only) individual. There is a collective universe behind every individual in these cultures. I firmly believe this is due to the relationship with the infinite that the sea symbolizes. The water is the unconscious, the long voyage, underneath our logic, where we put islands, meaning logic, surrounded by the subconscious of the immense sea. That’s how a sense of unity is born: while we are individuals, we are simultaneously a Community; and we express ourselves (how else?) through this Community. The most important expression of the Community is Tradition – music, dance, visual arts. Whatever tradition we pick as an example, we realize there’s a sense of coherence, of discipline: I conform myself to a pattern that exists for centuries now, I work on it, taste it, add or remove something, and give it back to go beyond me, when I no longer exist, though I exist through it, within it. This is a way of approaching our reality, a way with which our two cultures, the Hellenic and the Portuguese, have learned to live and create for centuries and centuries. over the main entrance of the Library of Congress in Washington. All of the above are in a way recorded in “Archipelagos”. Of course, do not expect some musicological treatise. No creator or artist owes anything like that. First of all, what counts is his/her personal taste, mental euphoria, and the connections he/she has chosen. 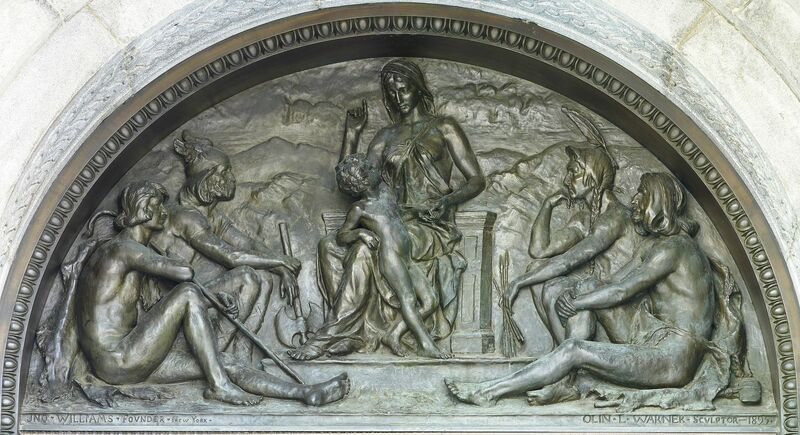 The artist defends a personal “meaning” while proposing a work of art. This meaning, however, at the same time symbolizes the whole, because Tsitsanis is also all the rest, just like Beethoven is in a way all Classical music. Thus a gesture has always a wider scope than the choice of a person. 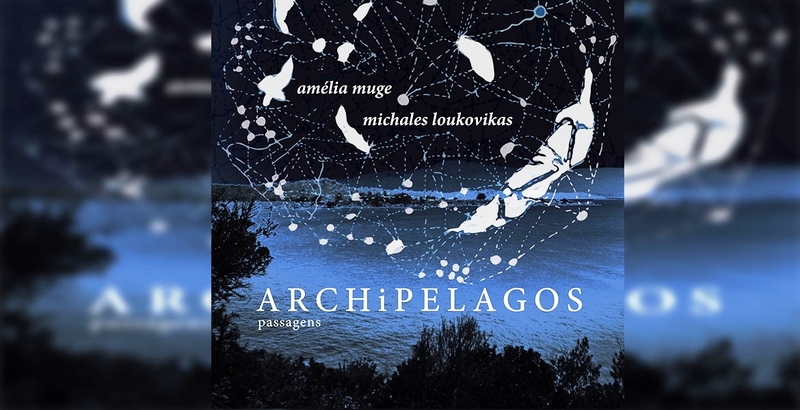 I invite you, therefore, to listen, feel and love “Archipelagos” for what it is: the meeting of two creative persons, two important artists, two excellent musicians-composers, and the way they conform themselves to Tradition and at the same time renew it. Because a Tradition that remains stagnant and is not renewed will inevitably die and be “frozen”. As well as a renewal that is more “irreverent” than it’s proper – i.e. its audacity disturbs the balance of aesthetic and moral options, and is gradually transformed into an offense, damage, “unconventional” attitude, which anyway dissolves the fabric of Tradition – is equally reprehensible. 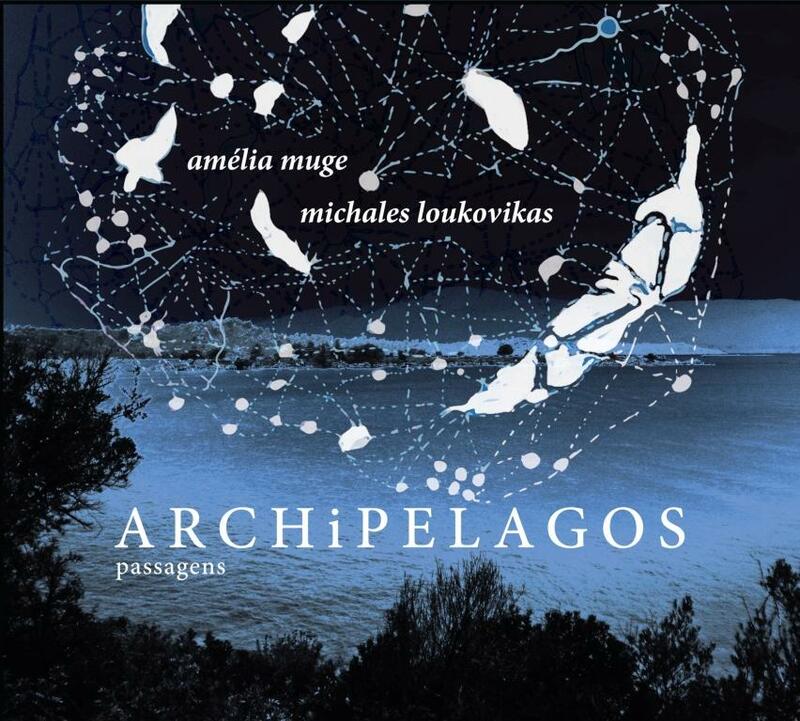 I believe that Amélia Muge and Michales Loukovikas have achieved this admirable balance creating in fact a work of art, so much flattering for us Greeks, as it is called “Archipelagos”. There are many archipelagos, but historically the first one and immortal throughout the ages, thanks to the “Odyssey” and the father of all, Homer, is the Aegean Sea, which, as Aeschylus has written, many times we see it blooming dead, either by a tempest, or some naval battle or catastrophe, or an unexpected return without a white sail, such as that which led Aegeus in despair to jump into the waters and henceforth the sea to be called Aegean. There’s always a drama behind our cultures. However, we have already attained the manner, kindness, wisdom and mental integrity not to mourn this drama, but save it as a precious patrimony, a bittersweet balance between light and darkness, life and death – isn’t human destiny likewise throughout the ages? Good luck and congratulations on your work!